With a castle and a lighthouse standing proud, public parks, recreation areas and walking trails within its boundaries, and a progressive spirit, Colwood offers the sports enthusiast and nature lover a wealth of opportunity to explore and enjoy. Its shoreline stretches along the Strait of Juan de Fuca, the popular Golden Goose Trail connects it with adjacent communities, and a 98-acre recreation center beckons with multiple choices for active pursuits. 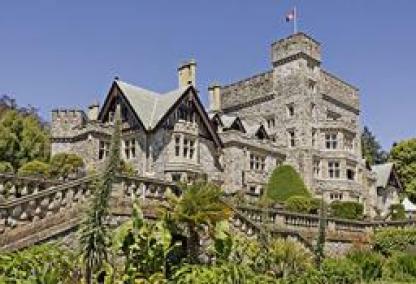 Office: Cathy Duncan & Associates Ltd.
An unequaled jewel of the community, however, is the 565-acre Hatley Park and its castle, constructed in 1908 by British Columbia Premier James Dunsmuir. The coal baron’s former home, featuring three separate themed gardens, centers the extensive national historic site, which is now the home of Royal Roads University. The grand house and museum are open for tours and special events. Gardens, a salt-water lagoon, parks, bicycle paths, nature preserves, bird and wildlife sanctuaries, sports fields, and manicured golf courses are all part of Colwood’s appeal. A view of Washington's Olympic Peninsula across the Strait contributes to the allure of this community. With so much to recommend it, it’s difficult to believe that Colwood’s population remains relatively small. It is a welcoming place, certainly deserving of a closer look if relocation is in your future.